If you want to get lots of useful tips in the field of carpet cleaning, you have come to the right place. This page is a reliable source of advice on various important topics. It is freely accessible to anyone who is eager to learn how to keep these widely used floor treatments in excellent condition. Excellent ideas for stain removal! Below you can find clever tips about the right rug cleaning methods. Do you know which products to use and how to clean rugs properly? Here you will find excellent ideas on carpet maintenance. It is important to remember that the carpets will be the mirror of your company and you wouldn't want to reflect bad impressions. Regardless if you choose wall-to-wall carpets or oriental rugs, pick soft colors which are relaxing and elegant and give attention to commercial carpet cleaning. 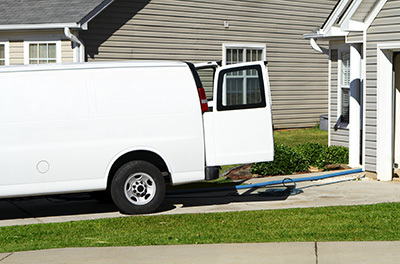 The associates of Carpet Cleaning Canoga Park insist that regular cleaning is a must for avoidance of health problems. If you drop some water on your carpet, make sure to put a clean cloth to absorb moisture. If the water damage has expanded, you will also need fans and dehumidifiers because the carpet must dry as soon as possible. Oriental rugs can be carried to dry in the open air. You need to engage in mold inspection to avoid further problems. Our experts from Canoga Park recommend applying soil retardants to your carpets, especially after you have recently cleaned them. Doing so renews your carpet’s protection and helps prolong its lifespan. Note that this can only be done with professional equipment while following the recommended techniques. The good thing about rugs is that they can be placed at any part of your house or office. So, the specialists of our contractor in Canoga Park suggest placing them away from big window openings and water pipes. This way, you will protect the colors of your oriental rugs and you will avoid water damage should pipes break. Carpet cleaning can be a chore for some and would rather wait for long intervals of time before the next cleaning session. However, our specialists suggest that carpet cleaning should be done regularly because dirt buildup can become permanent if not removed immediately. Cleaning becomes easier if it is done more regularly. If hair and fibers are stuck around the bristles, they won’t pick up much of the dust and dirt stuck in the pile. The motor may clog and fail, and this is a problem that requires a costly repair. It is easy to remove hair and fibers by hand.